The new social space for Rise of Iron sounds like an amazing place to visit. It will be our first stop in the new story as we aid Lord Saladin in liberating it from the Fallen invaders, and will be our base of operations as the story continues. In addition to the wolves roaming around, we’ll also encounter new vendors and NPC’s, including Tyra Karn, the Archivist who will provide us with new Weekly Bounties and the new Artifacts we’ll all be chasing, as well as Cayde’s trusted scout, Shiro-4. We’ll also see the Iron Banner taking up a new residence here when it becomes available in an area otherwise sealed off (similar to the tower). However, rumor has it there may be secret ways to enter this area at other times. Finally, in addition the already announced mausoleum of the Iron Lords, the Peak will also have an overlook that gives a view of the Plaguelands stretched out below, similar to the view of the city from the tower. Our brand new high-level patrol zone, the Plaguelands sound like they live up to their name. With intimidating red tendrils everywhere, damaging SIVA clusters sprouting around corners, and the scorched signs of deadly forces marking the landscape, this apocalyptic zone promises some serious adventure. 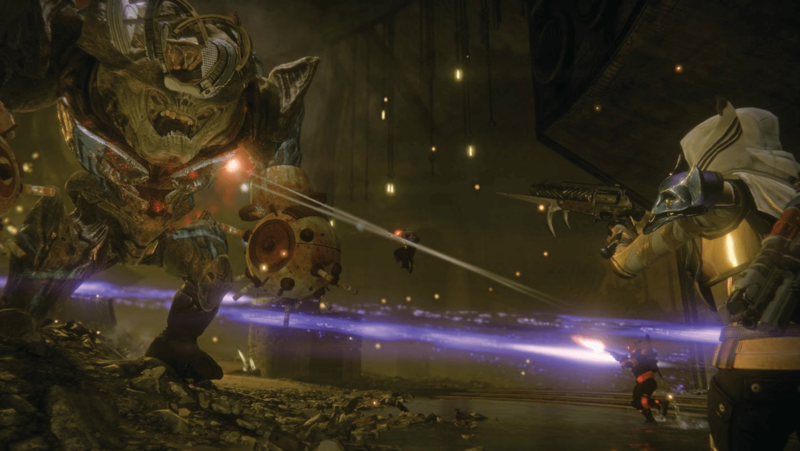 Our guide from Game Informer also encounters a number of Fallen Devils, with some new details collected toward the end of this article, and encounters both Shock Cannons and the flaming axe as aids in his battle against these updated foes. Deep in a Fallen fortress in the Plaguelands, Guardians can discover and interact with a new player-activated public event, a la Court of Oryx: The Archon’s Forge. Described as a “Thunderdome-esque battle arena” that “sits in a space squarely between the single-target brief encounters of the Court of Oryx and the much lengthier multi-stage Prison of Elders”, it sounds like we’ll spend a fair amount of time here, at least for a while. 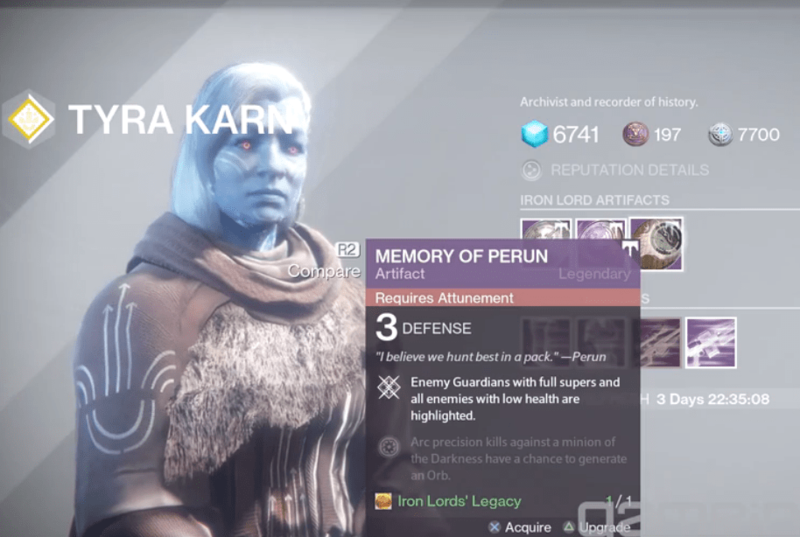 A player-activated sequence that works in a way familiar to anyone who’s visited the Court of Oryx, it rewards players who bring SIVA offerings from throughout the Plaguelands with a 5 minute pitched battle against waves of enemies spawning from domes cracking open around the arena, finishing with a boss fight that awards Forge-exclusive loot. The Rise of Iron campaign is set to consist of 5 new Story Missions, and there are said to be story missions outside the main campaign as well. Beyond that, we’ll also be getting new quests, including Exotic quests for Gjallarhorn, Thorn, and the Khvostov 7G-0X that we currently know of, as well as a questline leading to a new Strike, The Wretched Eye. 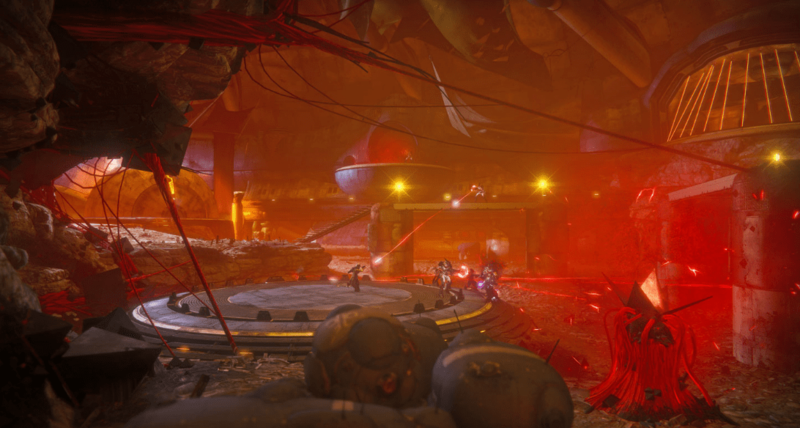 The Wretched Eye is Rise of Iron’s new strike, unlocked by completing an endgame questline, and will see Guardians battling through damaged missile silos to stop the Devil Splicers from infecting the Hive with SIVA – which would make for some seriously mad science enemies. 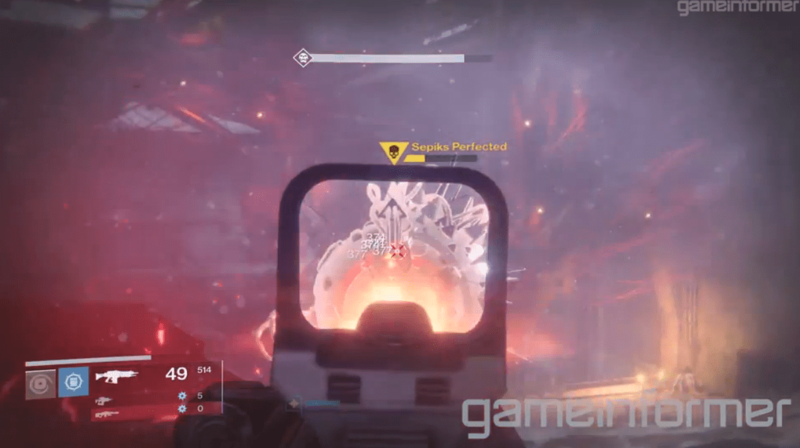 Notable about this new strike is an enhanced sense of varying paths and replayability, as Bungie has different doors open or locked each time through, and various enemy encounters to face. In addition, Bungie is bringing two older strikes forward with revitalized enemies. The Devil’s Lair, where we first destroyed Sepiks Prime, has been recast as a battle against Sepiks Perfected, a SIVA-infused reconstruction of the eye-in-the-sky. Meanwhile, The Summoning Pits, often neglected and forgotten in these latter days, will be reborn as The Abomination Heist – and who could say no to a mission with a name like that? 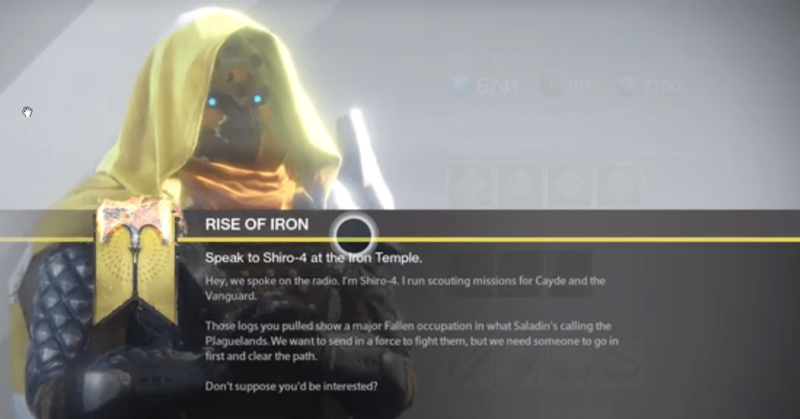 Both updated strikes will feature new storylines and mission dialogue as well. In strike playlists & Nightfalls, you will have the opportunity to occasionally earn a Skeleton Key, which can be used to open a “Strike Hoard” chest. These chests are available at the end of any Strike and reward Strike-unique weapons/armor. So, if you save Skeleton Keys for a specific Strike Hoard chest, you’re much more likely to get the loot you want. Splicer Dregs: Skitter around on mechanical peglegs and throw SIVA-powered grenades. Vandals: Gained a berserk ability, regenerating health when critically damaged and then charging into melee. Captains / Shock Rifles: These weapons no longer fire seeking rounds, but instead fire much faster. Snipers / Wire Rifles: Wire rifles have evidently gained some kind of triple tap ability. Unclear how it works. Servitors: The Devil Servitors have a new, SIVA-themed look that gives them an angular design. Perfected Walkers: The Walker tanks have been updated to fire seeking cannon shots and summon additional SIVA clusters to litter the ground. Splicer Machine Priest: Evidently these enemies conduct dark rituals of some type, and we’ll get missions (potentially patrol missions) to stop them. No further details – they may even overlap with an enemy type above. The latest raid in Destiny promises to be a truly unique experience. The first raid designed solely with current gen systems in mind, Bungie has shared that its theme is “collision” and according to Game Informer, who apparently got a taste of it, “you’ll understand why”. Said to focus on constant mobility and center around memorable boss fights, outdoor locales, and a huge set piece encounter (the evil zamboni on top of the wall from the trailer, perhaps? ), it promises to be full of surprises and new challenges. Wrath of the Machine Normal Mode launches Friday, September 23rd, with Hard Mode dropping some weeks later. We didn’t catch a specific time, but assuming it follows Bungie’s usual pattern we’ll see it go live around 10 AM PST along with a flurry of livestreamed fireteams striving to be the first to unlock its mysteries. Will you be among them? Bungie has confirmed that Festival of the Lost will be returning in October with new quests and new Masks to collect. In addition, SRL is coming back this December with new tracks and other ways that will make it a more unique experience – if you missed it the first time around, start practicing your trick jumps and cornering now!